Because of the geographic location of GRAND CENTRAL TEXAS, it is within commuting range of just over 1,000,000 people. As vast as the labor shed is, the impact of Fort Hood, the largest United States Army training post, is often overlooked. Fort Hood provides a ready-made job pool of men and women (approximately 500 every month) who are transitioning out of the military into the civilian workforce. Over 40% of those exiting have indicated a preference for remaining in the Central Texas area. The additional benefit to companies is more than just the prospect of a well-trained and highly skilled workforce. There are federal hiring credits available for employing veterans. GRAND CENTRAL TEXAS boasts a competitive and educated workforce with over 47% of the population attaining some degree of college education. 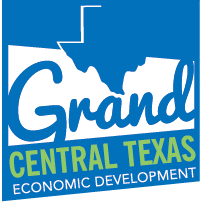 With a population of 724,673 supplying a total job count of 293,952, Grand Central Texas is home to a highly skilled and available workforce. Grand Central Texas’ higher education has more than 68,000 college students annually and that number continues to grow each year. With universities and strong community colleges there is a continual flow of eager and well-trained individuals entering the workforce. The region also has plenty of options on the school district level offering 14 independent school districts, with all districts meeting the Texas Education Agency’s standards in student achievement, student progress, closing performance gaps, and post-secondary readiness.